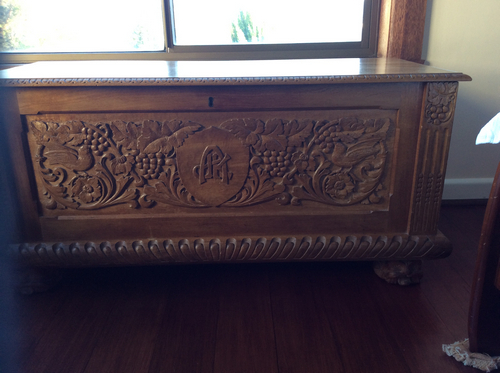 Dower chest carved 1951 for Josephine K Anderson . Who was Nellie Payne? 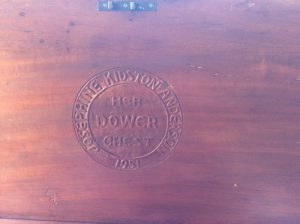 Dower chest for Josephine Anderson. 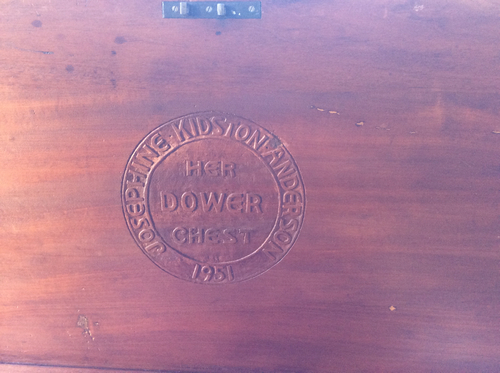 Inside lid of Josephine Anderson’s dower chest. 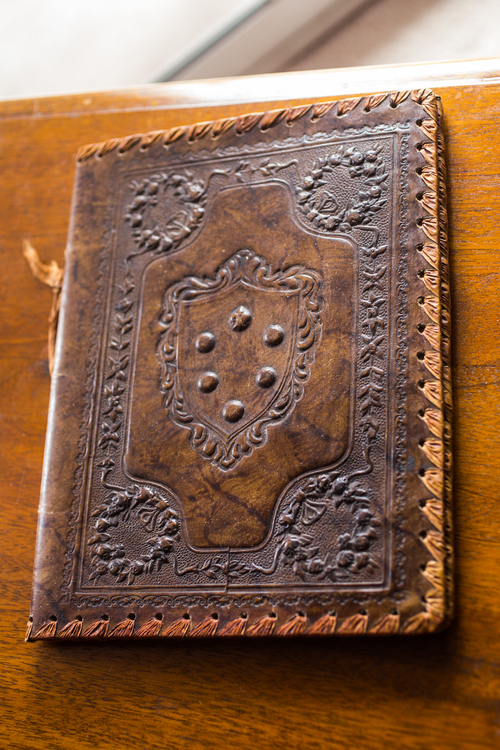 For their wedding on 8.9.1951 Nellie embossed a beautiful leather bookcover (see piece 203). They were each head prefects in 1945, she at the Friends’ school and he at the Hutchins school in Hobart and subsequently formed a friendship which has culminated in 63 years of marital “bliss” to date. At Melbourne University Jo studied Physical Education Diploma and Charles achieved a Bachelor of Science degree, in Physics, at the University of Tasmania. He spent many years working at the Electrolytic Zinc Company in Hobart as a Process Instrument Engineer. He had also a short time “colour matching paper” at APPM paper mills in Burnie. He is so grateful to his Grandmother for financially supporting his studies at the University. One of his interests is, naturally, in wood and he can well remember helping to polish her work on his Grandmother’s bench. Nellie looked to the future and gave him, aged 12, a wonderful Huon pine work bench which he still cherishes. In earlier days the family would have Sunday dinner at Granny and Madge’s house and help with the polishing of her current work at that time. Charles and Jo have three lovely children (Nellie’s great grandchildren) Andrew, Deborah (Deb) and Christopher (Chip) all of whom have performed well in their own yachts, here and around the world. Josephine and Charles still live in a Hobart suburb, and have been exceptional in the giving of their time, and knowledge of family history, for this exhibition. Their daughter Deb now treasures her mother’s dower chest.